Recent years have brought popularity to Icelandic rock, but usually of the musical variety. 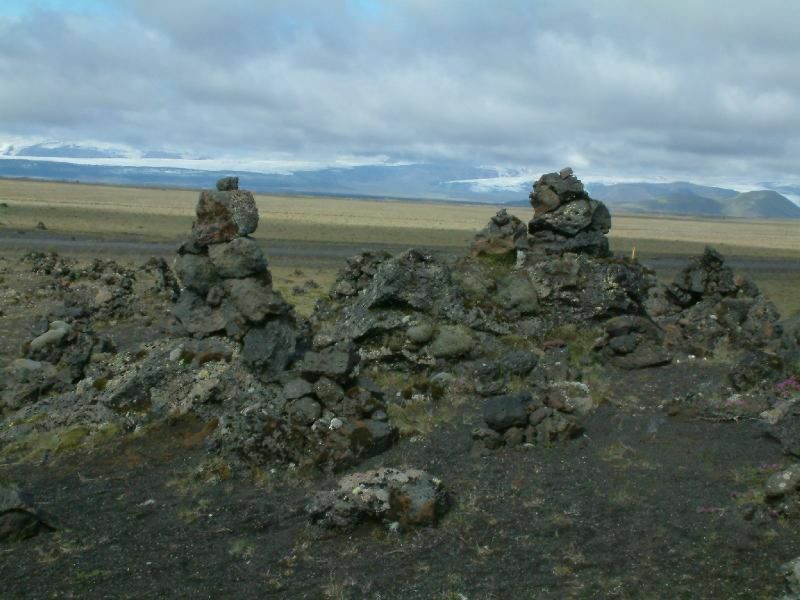 There is also a lot of the other kind, and many sites where it can be found deliberately piled, stacked, and even balanced. 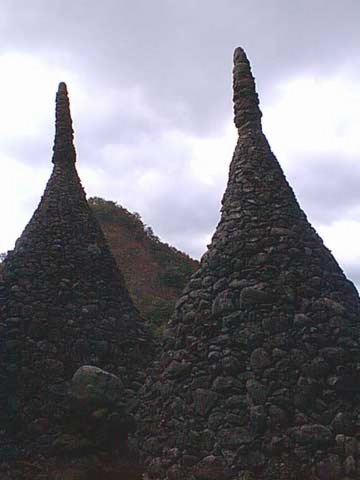 Placed for many purposes - and some just for fun - these cairns, stacks, and balances are in at least a few cases both a tourist attraction and a tourist creation. As we see in other lands as well, this is not a unique phenomenon, and has been a tradition for many centuries. 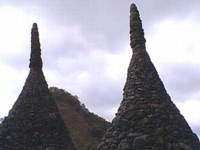 Korea has long had a strong Buddhist tradition which has found expression in a least one instance of astonishing balanced towers, originally the work of a single person. 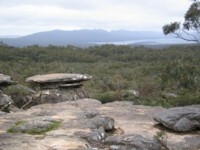 Similar structures can be found at other temples on the Peninsula, the meditative work of monks and lay recluses. The land is quite mountainous, and hikers in canyons and crevices come upon surprising examples of devotedly risky worship. Australia is the most ancient, stable continent on earth, and its Aboriginal people have the oldest continuous culture known. Their religion is intimately involved with place, and their practices highly private. Less is known of their rock work than is guessed at. 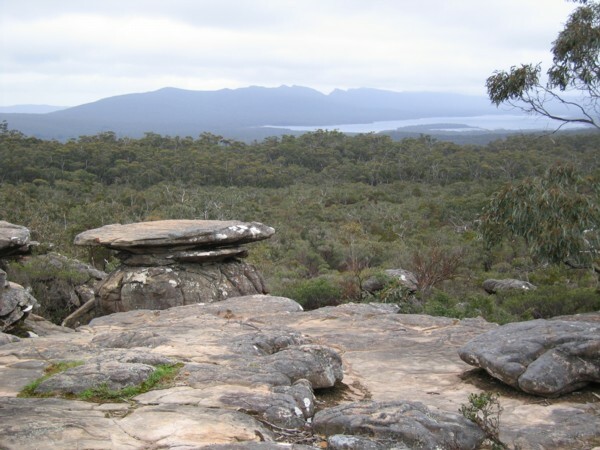 20-40,000 years is a very long time to be walking about the same land, and it is hard to believe that there's anywhere on their traditional domain that the Aborigines haven't touched. Kaua'i Balancing - The oldest island with the oldest rocks. 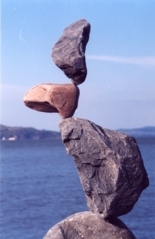 Maui Balancing - Modern and ancient traditions meet. Buddha's Stones - An interactive exploration of deep discipline. "Towers of Hanoi" Puzzle - Not a game for the monks who contemplate this. Baja Balancing - New endeavor for the new world. New Mexico - State of Balance - Deserts, cliffs. and rocks. Surfer Balancing - Dynamic water balanced with rock in repose.